While the thick piles of snow might seem like an attractive view, they can also damage your roof. The cold weather can also affect the indoor temperature when your roofing system isn’t in good shape. That’s bad news since you need to stay in your home more often. Innovative Roofing and Siding Inc., the leading local roofer, discusses the different winter elements that can affect the longevity of your roof. 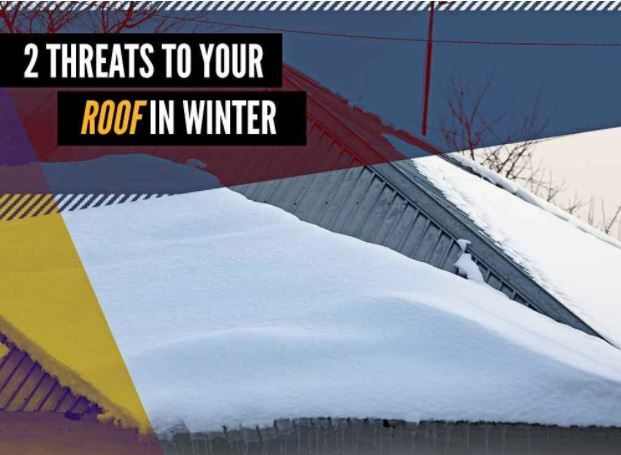 Snow buildup on your roof won’t necessarily result in structural damage until it comes to the point when it has exceeded the load-bearing capacity of the system. When you notice creaking sounds, crevices above your windows or doors, and a bowed ceiling, get in touch with your local roofer to assess the condition of your roof. Additionally, ice might accumulate on the eaves of your home. That may block your gutters and prevent water from finding its way off your roof. The solution: keep an eye on your roofing system and remove excess snow. Winds in wintertime are the strongest, leading to shingle blow-off. It can also loosen up the flashings and other roofing components. Moreover, areas exposed to wind streams, including the roof’s ridges, are more susceptible to damage. In case of roof emergency, call a trusted contractor to help you deal with wind damage. They will help restore your roofing system back to its current condition. Moreover, consider tree-trimming to prevent branches from falling off and slamming against your roof. At Innovative Roofing and Siding, Inc, we offer high-quality roofing materials and gutters to meet your needs. Our crew will guide you through the whole installation procedure to ensure the success of your next home improvement project. Call us today at (865) 444-6070 to learn more about our outstanding products and services. We serve residents of Knoxville and other areas in TN.